A day spent with a young child at the beach is filled with many minor dramas -- a lost shoe, a ball that floats too far out into the water, a drippy ice-cream cone. These can be frustrating events for both child and parent, but the daddy in this book finds a way to fix each problem, lovingly and patiently. Why? Because he loves his little girl, of course! This spot-on pairing of words and images is a warm, reassuring, and humorous tribute to dads everywhere. 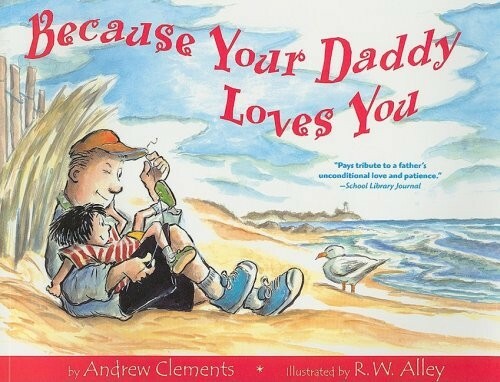 For more stories that celebrate the special daddy / daughter bond, visit our Fathers section.